How can the vertical scaling of data processing be carried out dynamically? Increasing the processing capacity of data stored on cloud storage devices generally requires the manual vertical scaling of the device, which is inefficient and potentially wasteful. A system is established whereby the vertical scaling of data processing can be carried out dynamically across multiple cloud storage devices. 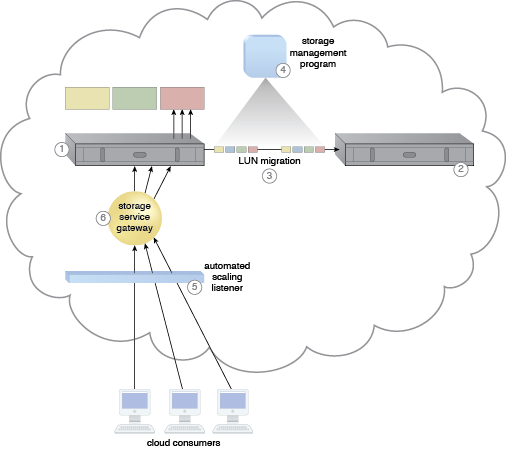 Using pre-defined capacity thresholds, LUN migration is used to dynamically move LUN disks between cloud storage devices with different capacities. A cloud architecture resulting from the application of the Cross-Storage Device Vertical Tiering pattern (Part I). 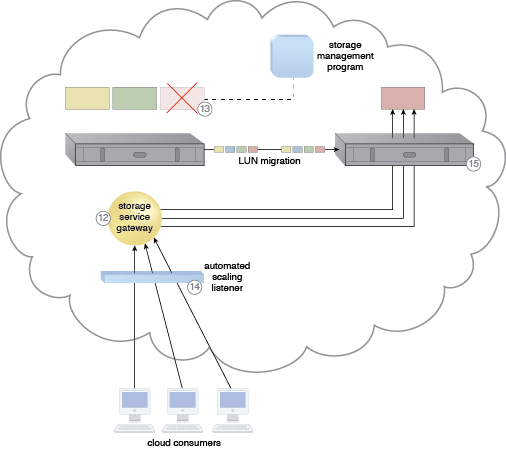 A cloud architecture resulting from the application of the Cross-Storage Device Vertical Tiering pattern (Part II). 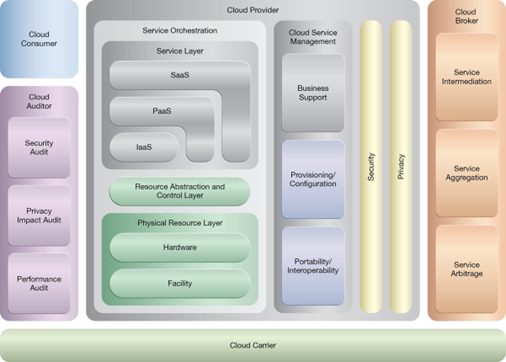 A cloud architecture resulting from the application of the Cross-Storage Device Vertical Tiering pattern (Part III).